Utilizing mangrove plants for filtration in a saltwater aquarium, particularly for helping to reduce and control nitrates, is not a new concept. It has been around for quite some time, but few aquarists have known much about it. However, this is changing because more and more aquarists are looking for a natural method of filtration for their aquariums, so mangroves are becoming a more popular option. Why Control Nitrates in an Aquarium? 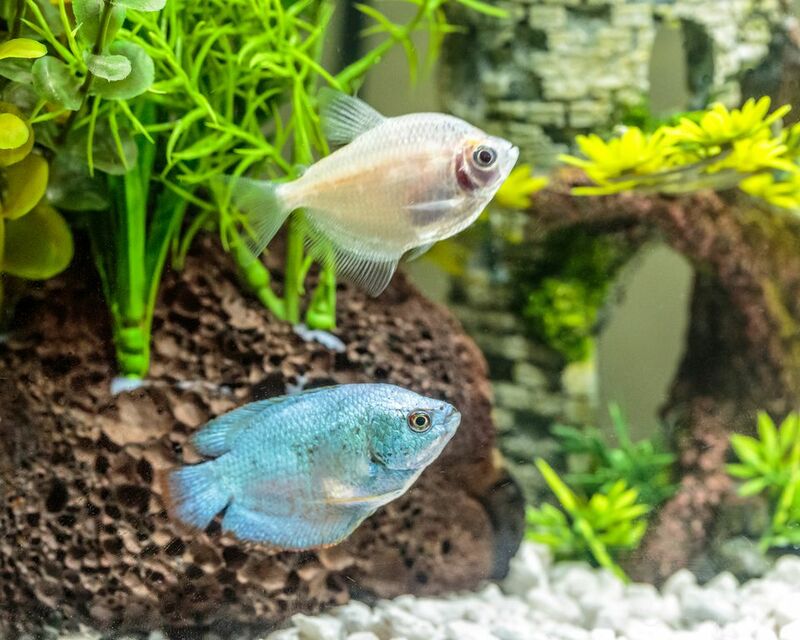 While not directly lethal to fish, over time high levels of nitrates will have a negative effect on fish, plants in the aquarium, and the overall aquarium environment. High levels of nitrates decrease oxygen levels which can stress the fish, leave them more susceptible to disease, and can inhibit a fish's ability to reproduce. Elevated nitrate levels can also impact algae growth; high levels can lead to algae blooms in an aquarium. While mangroves in the wild naturally grow in mud, it is not essential for their growth. They can be grown very efficiently in a sump, refugium, or directly in an aquarium. Fed by absorbing nutrients and organic materials from the water, live mangroves naturally create a filter for cleaning water. Mangroves not only have the ability to absorb nitrates but can also absorb phosphates and other organic materials. In fact, they remove organic materials so well from the water that they act as a replacement for a protein skimmer. When using mangroves in a home aquarium, you will notice your protein skimmer working less and less. The more the mangroves grow and mature, the more they absorb the excess organic materials in your water. Eventually, the skimmer has nothing to remove and becomes obsolete. If you are a naturalist and don't want to add chemical additives or compounds to reduce and control nitrates in your aquarium, this is a very effective filtration method. If using mangroves as a method of filtration is not right for you, there are other nitrate control methods to choose from. Any stage will work for introduction into an aquarium. Each phase has a different maturation timeline. Seeds in the first two stages will take time to mature. The mangroves in the third stage will likely grow quickly since the roots are already sprouted. The fourth phase is the fastest. Since these mangroves already have a robust root system, they will impact the filtration of your aquarium very quickly. Each seed phase has its own directions for the proper introduction into an aquarium. It is important to follow those directions and not simply place any seeds directly into the aquarium and expect positive results.